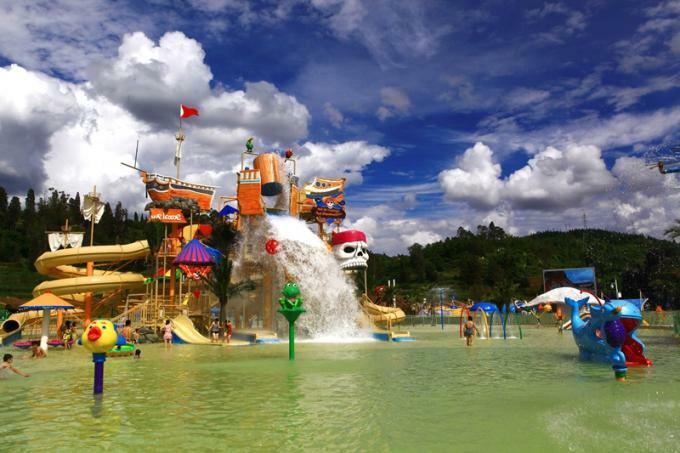 Aqua house, also known as the Interactive Castle, is a versatile integrated water amusement equipment. Aqua house can accommodates a large number of passengers, and the interactive products are various in form and novel in style, which is suitable for entertainment of all ages. 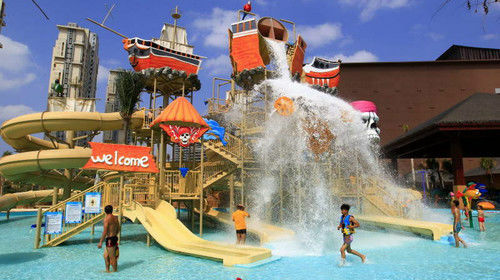 Aqua house has a variety of themes to choose from: pirate series, forest series, marine theme, European fishing village style, industrial theme, anime theme... Aqua house can have big dump, closed or open spiral Slides, linear combination slides, climbing nets, water guns, large funnels and many other entertainment projects, according to customer needs, we can provide or customize more than 3,000 square meters of various styles of theme packaging large aqua house. 2, It is forbidden to suspend or swing on the rope. 4, Do not run, slap, dive, dive, or climb the water pipe and handrail or do any other dangerous actions in the splash area.